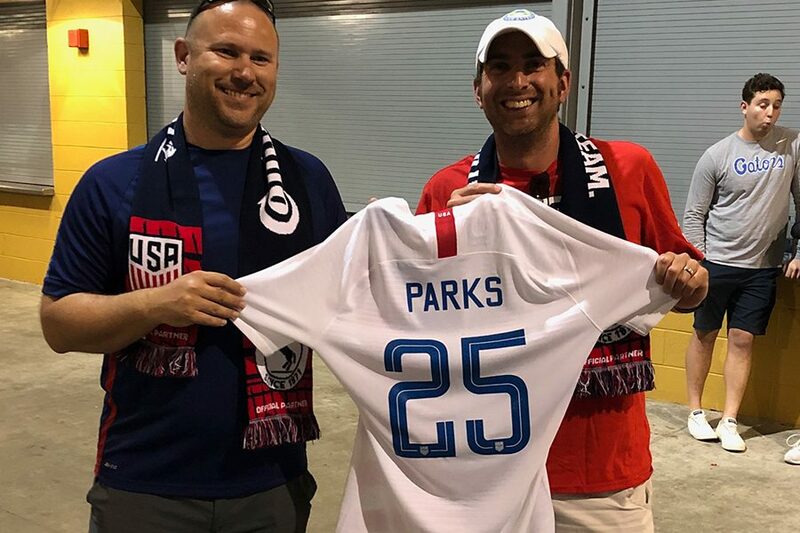 Holding Keaton Parks U.S. national team jersey, former assistant coach Jonathan Mikulas and Redhawks head coach Fred Kaiser, along with current assistant Adam Cecil flew to Philadelphia to watch Parks debut with the national team in its 3-0 win over Bolivia. Former Redhawk Keaton Parks make his debut with the U.S. Men’s National Team on Monday in a 3-0 victory over Bolivia at Talen Energy Stadium. 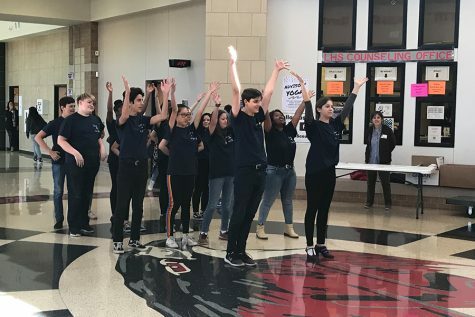 Parks had a strong showing of support as his family was there along with boys’ head soccer coach Fred Kaiser, current assistant coach Adam Cecil and former assistant coach Jonathan Mikulas.